NeoGenomics Laboratories said today it has agreed to acquire the clinical oncology laboratory Genoptix for about $140 million cash and stock combined, in a deal designed to expand the buyer’s presence in cancer testing. With headquarters and labs in Carlsbad, CA, Genoptix is a provider of personalized and comprehensive diagnostic services to hematologists, oncologists and pathologists, with a focus on diagnosing cancers and disorders in bone marrow, blood, and lymph nodes, as well as in molecular testing of solid tumors. The company focuses on diagnosing cancers and disorders in bone marrow, blood, and lymph nodes, as well as in solid tumor workups using molecular testing. Most recently last month, Genoptix launched an FDA-authorized BCR-ABL MRDx TFR Monitoring Test for patients with chronic myeloid leukemia (CML) being treated with Novartis’ kinase inhibitor Tasigna (nilotinib). The test is commercially available nationwide exclusively through Genoptix under an exclusive agreement with MolecularMD signed in June. “Our combination with Genoptix will set NeoGenomics apart from the rest of the industry in a variety of ways with an unprecedented reach to all customer segments including hospitals pathologists and community oncology practices,” Douglas M. VanOort, NeoGenomics’ Chairman and CEO, told analysts in a conference call following announcement of the deal. He said NeoGenomics’ focus on pathologists and hospitals will be complemented by Genoptix’s reputation and relationships with community oncology practices. The nation’s 2,000+ community oncology practices alone represent a nearly $2.5 billion testing market opportunity, NeoGenomics reasons. NeoGenomics signaled its intent to grow through acquisition in August, when it carried out a $125 million public offering of 9.8 million shares of its common stock at $12.75 a share. “We intend to use the net proceeds of this offering to fund the growth of our business, including the acquisition of, and investment in, businesses that we believe will enhance the value of our Company, although we have no current commitments or agreements with respect to any such transactions as of the date of this prospectus supplement.,” NeoGenomics stated in its prospectus. NeoGenomics estimated that the stock offering would generate net proceeds of approximately $117.3 million, or $134.9 million if underwriters exercised in full their option to purchase additional shares. The company is expected to disclose whether that has occurred when it releases third-quarter results on October 30. The combined company will have approximately 50 oncology specialized pathologists and hematopathologists, an 80+-person oncology-focused sales force; a broad portfolio of managed care and hospital group purchasing organization contracts; an oncology menu that VanOort said was among the broadest and deepest in the industry; and familiarity with community oncology practices, hospitals, and pathology practices, specialized pathology consults, and customized oncology test reports. Those reports include COMPASS, a hematopathologist-directed multi-platform comprehensive evaluation that includes disease-specific evaluation for each case; and CHART, designed to integrate information from a series of COMPASS reports over time, allowing oncologists to monitor response to therapy, determine disease progression, evaluate clonal evolution, and assess residual disease. He said NeoGenomics’ test menu features a broader portfolio of next-generation sequencing based panels, a larger number of immunohistochemistry tests, a more technologically-enhanced 10-color flow cytometry program, and greater resources and expertise in the area of solid tumor pathology. 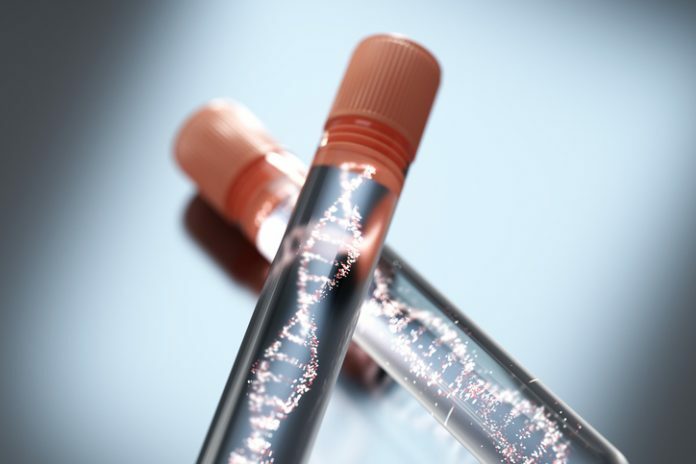 NeoGenomics is also looking to build upon its portfolio of managed care and group purchasing organization contracts for hospitals and integrated delivery networks, according to VanOort. NeoGenomics, which is based in Fort Myers, FL, says the deal is expected to add $85 million of revenue, resulting in a combined company pro forma revenue of approximately $350 million—as well as break-even earnings before interest, taxes, depreciation, and amortization (EBITDA) in the first year following completion of the transaction. Over three years following completion of the deal, the acquisition is also expected to generate $25 million of cost savings or “synergies,” and a 25% EBITDA margin. One area for synergies is consolidation of facilities, since Genoptix’s lab location in Carlsbad, CA, is about 40 minutes south of NeoGenomics’ Aliso Viejo, CA, lab, VanOort said. Novartis acquired Genoptix in 2011 for $470 million, but sold the company's commercial lab segment in March 2017 to private investors consisting of a management group led by Joseph M. Limber, in partnership with Ampersand Capital Partners and 1315 Capital. The pharma giant retained Genoptix’s BioPharma business under a subsidiary called Navigate BioPharma Services, which focuses on providing specialized services in oncology trials. Late last year, Genotpix hoped to grow in molecular testing by acquiring Rosetta Genomics for $10 million. But in February, Genoptix terminated the deal after fewer Rosetta shareholders approved the deal than needed for it to be completed. A subsequent $9 million merger agreement between the companies also fell through, and in May, Rosetta filed for Chapter 7 bankruptcy. In addition to $125 million cash, NeoGenomics is offering 1 million shares of its stock for Genoptix. At yesterday’s closing price of $13.66 a share, the stock was worth $13.66 million. The acquisition is expected to close in late November to early December, following expiration of the waiting period under the Hart Scott Rodino Antitrust Improvements Act, VanOort said.